Welcome Good Counsel Parents & Student Athletes! 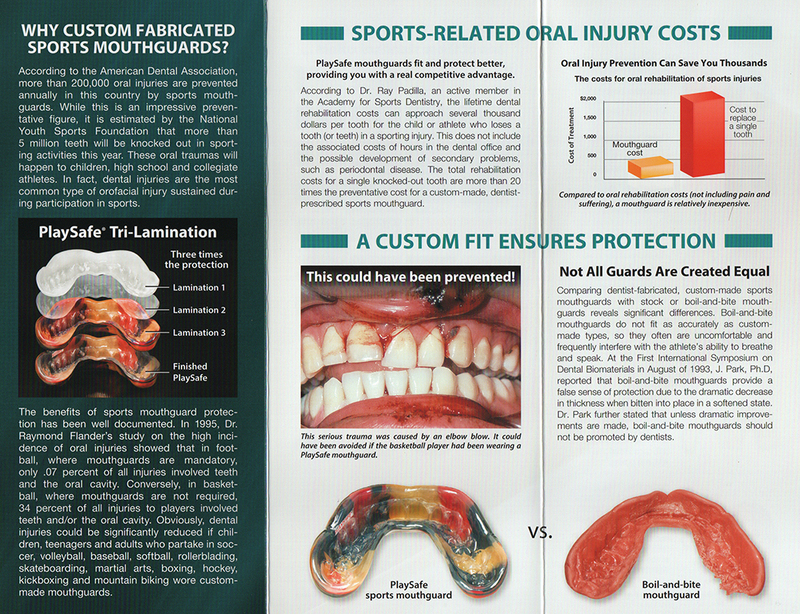 Prevention in sports dentistry has always involved educating parents and young athletes about the benefits of mouthguards, facemasks, and other protective equipment for the head, face, and mouth. Injury prevention involves education of the athlete about tooth protection through the use of a properly fitting mouthguard. If not properly fitted the athlete often complains that the mouthguard is cumbersome affecting their ability to speak and breath. This results in diminished performance, as well as diminished compliance on the part of the athlete, resulting in traumatic and costly injury to the dentition. 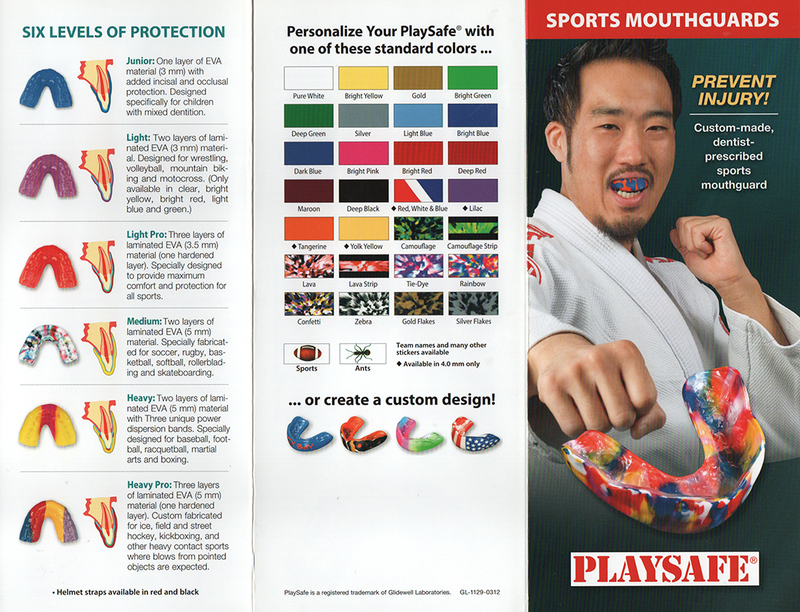 A custom designed mouthguard provides the standard of care in protection. 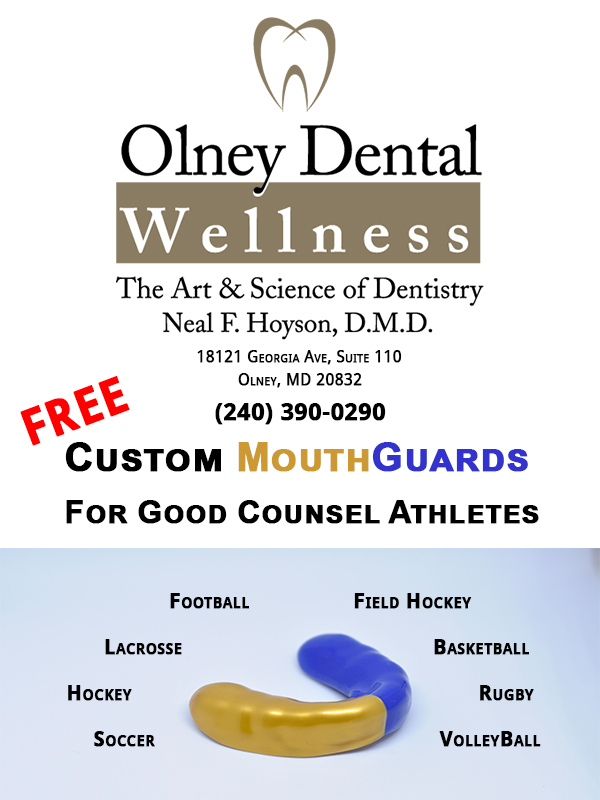 I am pleased to offer a FREE custom designed mouthguard for all members of the Good Counsel Varsity and Junior Varsity Sports Teams. Our practice has been working closely with Mr.Peter Kotz, your outstanding Head Athletic Trainer, to facilitate this program. We have provided custom mouthguards for athletes of the Good Counsel Lacrosse, Hockey and Basketball Teams with great success. Please contact my office to schedule a 30-minute appointment. All athletes MUST be accompanied by a parent for the initial appointment to provide a complete medical and dental history. On behalf of the entire staff of Olney Dental Wellness, I look forward to providing this very important service to the exceptional student-athletes of Good Counsel High School.